I absolutely love farms, despite the fact that most people identify me as an urbanite. If you think about it, I’ve done scholarly research on the leather and footwear commodity chain, which originates from the beef/agricultural commodity chain. And I’ve also studied the urban/rural transformation (when I wrote my doctoral dissertation I looked at all the literature on how farms were being transformed into bedroom communities). So, doing some agri-tourism and visiting farms is definitely something up my alley. 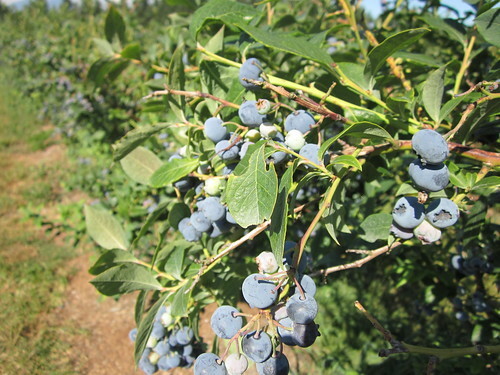 Krause Berry Farms was the third of our stops in the Langley Circle Farm Tour. I say was, because Krause Berry Farms is a set of two farms, in fact. I was unable to chat with the Mexican temporary workers that come up to do berry picking, something I really wanted to do, but was able to do a full guided tour of one of the berry farms. Al Krause gave us a full guided tour of their sustainable farm, whereas Sandee Krause was kind enough to tour us around their restaurant/cafe as well as around their shop. It was an incredible experience, to taste so many of the treats that you can make with berries (blueberry, blackberry, raspberry, etc.). The Krause Berry Farm also cultivate some corn in an area of their acreage and they will also play hosts to the Feast of Fields this year. 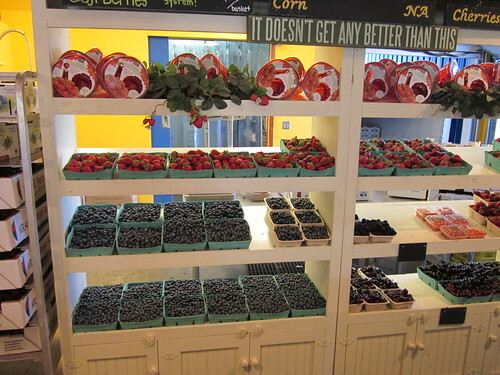 Enjoy the ‘Berry Best’ in strawberries, raspberries, blueberries & blackberries and freshly picked vegetables. 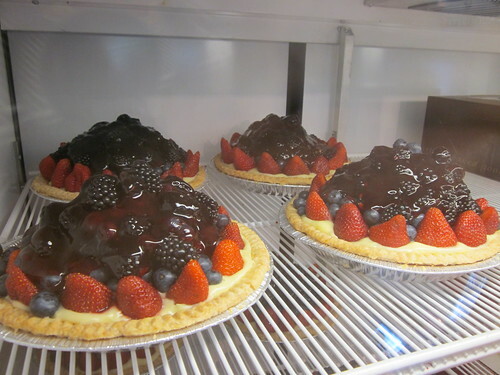 Visit our Market for our specialty jams, jellies, syrups, & farm-made fudge, as well as our delicious berry shortcakes & famous pies. 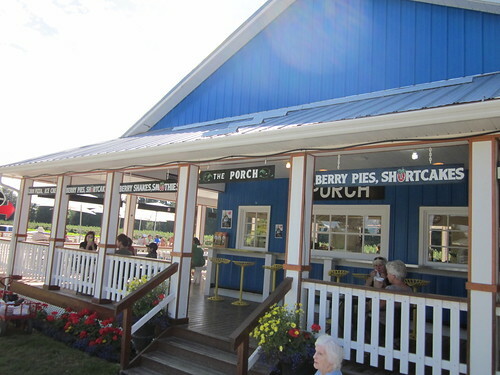 Relax on the porch with our corn pizza, old-fashioned berry milkshakes & farm fresh ice cream. Kids love to visit our farm animals and fenced play area. I found out that the Krause Berry Farms don’t open during Halloween but do during Christmas season, and they have a number of great activities for all ages. 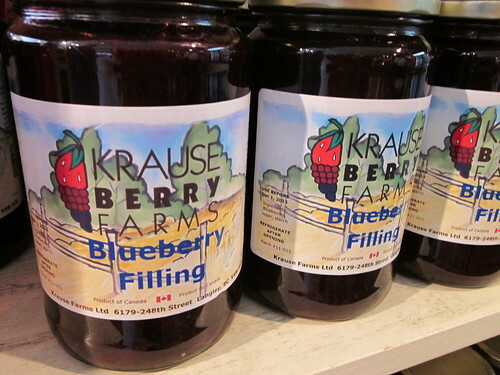 You should totally check out the Krause Berry Farms, one of the stops of the Langley Circle Farm Tour. Check out their calendar of activities for more information. You should also check my full Flickr set. 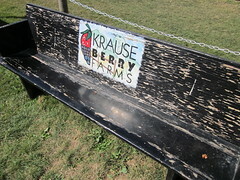 Disclosure: My visit to Krause Berry Farms was one of the stops of a media trip for Circle Farm Tours. You can read all of my Circle Farm Tours coverage here. A sample of goodies we tasted during our visit was compliments of our gracious hosts.